"That would have landed in each of the last four encounters between this pair at Selhurst Park." It took Crystal Palace until mid-October to put their first point on the board last season but they'll run out against Liverpool with three in the bag already. Roy Hodgson's men rode their luck a little in the opening 2-0 win at Fulham and the fact that Eagles goalkeeper Wayne Hennessey was man-of-the-match obviously shows that they were on the back foot for spells. But on another level, this was pretty clinical stuff from Palace. They kept their clean sheet and picked off Fulham twice at the other end. The Selhurst Park side won their final three home games last season (v Brighton, Leicester and West Brom) but Liverpool were 2-1 winners there prior to that trio of wins. Against the top six last season, Palace suffered four defeats, drew 0-0 with Man City and beat Chelsea 2-1. It's worth noting that all of those losses were by a single goal and Spurs, Man Utd and Liverpool all scored late winners so Palace were always competitive. Liverpool's 4-0 opening win over West Ham seemed little more than a training exercise, with the Reds quickly fathoming out how to beat West Ham's high line. It won't be anything like as easy against Palace and new goalkeeper Alisson will surely be tested for the first time following the easiest debut you could ever imagine. Going away to Crystal Palace on a Monday may induce a few shudders from Liverpool fans who recall the 3-0 to 3-3 capitulation which left Luis Suarez in tears and title hopes shattered again in 2014. But very recent history has rather quashed the idea of Palace being the Reds' bogey team and victories home and away last season made it four wins for Liverpool in the last five head-to-heads. Mo Salah bagged a late winner last season and he's already off the mark this time after netting the opener against West Ham. Liverpool looked strong in pre-season and if Jurgen Klopp's expensively-assembled side want to be considered realistic title challengers to Manchester City, this is the sort of fixture in which they can't afford to ship points. Value hunters will surely see some juice in the Crystal Palace price of [7.8]. There's definitely a scenario that sees the hosts defend stoutly and then nick something from a set-piece or some Wilfried Zaha magic. Liverpool are just [1.46] to make it two wins out of two while the Draw also looks on the high side at [5.1] if Liverpool don't have their best day. The famous 3-3 between this duo forms part of an extremely strong trend in this fixture. In the last 12 meetings in all comps, both sides have scored in 11 of them while BTTS has landed in the last seven at Selhurst Park. It's all rather reflected in the odds though and 'Yes' is just [1.7] while 'No' is [2.16]. Also, the perception that Liverpool win whilst conceding needs revision given that, since late November, they've won the majority of their away games with clean sheets. The win to nil is an option for LFC backers at 7/4 (Sportsbook) although Palace's goal tally at home has to be respected and more on that later. Sadio Mane landed the money for us last week with a brace against West Ham and this looks the perfect fixture for the Senegalese frontman to add to his early tally. Mane has scored five goals in seven appearances against Palace and netted home and away last season. Pay too much attention to Salah or Firmino and Mane will hurt you. He's Even money to score anytime and, whilst not as attractive as the 6/5 at home to West Ham, I'll still play. Right now, he looks the sharpest of the Reds' front three and the arrival of former Leipzig teammate Naby Keita should open up even more chances given their obvious understanding. The Same Game Multi of Mane to score and Liverpool to win landed last week and it's 2.89 on Monday night. It's 2.2 for Salah netting in a Reds victory. For Palace, Wilfried Zaha is 12/5 to score although he's managed just one goal against the Merseysiders. I fancy Liverpool goals - they averaged over two per game on the road last season - and there are lots of ways to try and cash in. That said, many potential avenues look short. However, an interesting option is to go to the Anytime Correct Score market and back Liverpool 2-1 at 2/1 (Sportsbook). That would have landed in each of the last four encounters between this pair at Selhurst Park. Three actually finished 2-1 to the men from Anfield while the other ended 4-2. I'll also add a small bet on 3-2 Liverpool as an Anytime Correct Score at 9/1. Klopp's men scored three or more in 12 away games in all comps last season while Palace reached two goals in 11 of their final 16 home games of last season. When goals are expected to fly in, it's hard to predict exactly how many so homing in on a couple of scoreboard snapshots offers us a different way of backing Liverpool to outscore Palace. 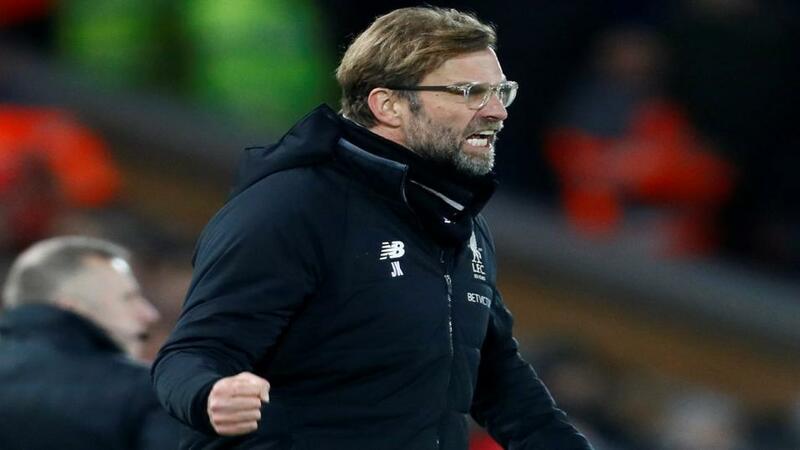 Since Jurgen Klopp took charge in October 2015, Liverpool's Premier League games have seen more goals than any other side (341 - 221 goals, 120 conceded). No side has scored 4+ goals in more different Premier League games than Liverpool in that time (22, level with Man City).